One of the coolest Phoenix SEO jobs around! HARRY'S COMMENTS: We are working with Orthotic Holdings Inc. ("OHI") in their search for a proven Search Marketing Manager based in Phoenix, Arizona. Headquartered in Hauppauge, NY, OHI is the global leader in durable medical equipment (DME) technologies for healthcare providers who treat diseases and conditions associated with the lower extremities. This is a big deal: According to the American Podiatric Medical Association, most Americans suffer from foot pain. In many cases, the pain is debilitating. Over 75% of the U.S. population experiences foot or ankle-related problems -- yet most individuals visit their primary care physicians for foot-related issues. I'm not criticizing here, but there's a lot my primary physician doesn't know about feet. And when general practitioners see a podiatric case, they don't know enough to recommend an OHI solution. There are literally tens of millions of long suffering people who NEED OHI's products but would never hear about them through a specialist. Perhaps these poor soles (nyuk, nyuk) only get as far a Googling their symptoms -- which is where YOU come in. It's pretty obvious that the market opportunity for ApexFoot is massive. So massive, in fact, that your challenge will be to bucketize the market opportunity. For example, there are degrees of pain. Whose feet really hurt? Well, let's start here: Who is on their feet all day? Nurses? Flight attendants? Retail salespeople? How can you capture demand from people who already know what ails them? And what can you do to create demand among foot pain sufferers who don't yet know what they need? Like, suppose you target nurses: How exactly do they buy the types of stuff ApexFoot sells? Might they first see an ad on Facebook, which would allow you, the marketer, to use retargeting to follow them around the web, across devices? I have no idea. But you do. And if you've made it this far in my job posting, that's probably the kind of thing you do all day long. I wish I had a dime for every time I showed this diagram to a client. The shopping journey starts in different places for different cohorts: Flight attendants might be inclined to respond first to paid influencers. Construction workers might use voice search on their smart phones. Landscapers might respond best to YouTube ads. And so on. 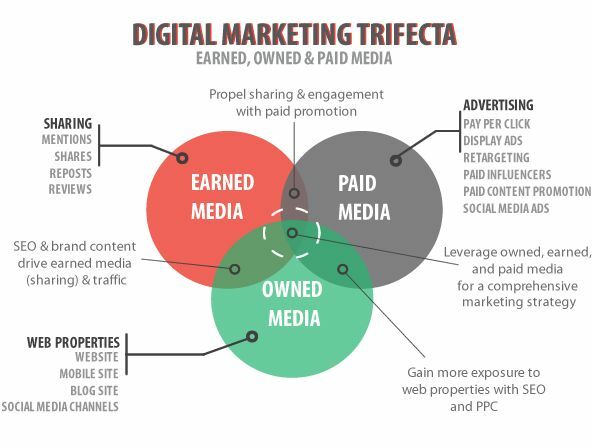 As ApexFoot's Search Marketing Manager, you will own the PAID media function plus SEO -- making sure the firm's digital assets (aka "OWNED" media) are optimized for search engines. Naturally, we'll expect you to have a deep understanding of which advertising channels have the highest conversion potential so you can spend your time and OHI's money on those channels and activities that maximize ROAS. You'll have to understand the mechanics and trends of content marketing, if for no other reason than to ensure that Google thinks ApexFoot's webpages are keyword relevant. And given that many of your prospects will be Googling their symptoms and searching for specific answers to questions like "How long does plantar fasciitis last? ", you'll need to know how to give searchers what they're looking for. Searchers use mostly voice to conduct such queries, so there's that to consider. Finally, it wouldn't kill you to have a teachable POV on how Google shape-shifts over time. And because this is digital marketing we're talking about, when the operating environment changes -- your tech needs change, too. You should know a thing or two about website migration. The top five problems that exist due to this position being open. These are the little brush fires you will be expected to put out during your first month on the job. Every SEO job has these — and this one's no different. The major projects you’ll need to complete by Day 100 to be considered a home-run in this position. We’ve got the lowdown on how you can plug-and-play and drive REAL value in this search marketing job. We have a massive amount of proprietary intel to share with qualified candidates. Our industry research for this Phoenix SEO job exceeds 60 pages! Be sure to TEXT Harry Joiner at (404) 281-2025 for this info. Or simply use the email link when you apply for the role below. Definition and delivery of performance marketing and organic search strategy, including goals, roadmap, technical and functional requirements and resourcing needs. Build relationships to accomplish business goals and influencing others up, down, and across the organization. Research trending opportunities within the broader ecommerce space to identify opportunities and threats. Monitor customer trends / behaviors and taking appropriate action in order to maintain the growth of the business. Define, manage, execute and communicate strategy for SEO / SEM programs in support of OHI business objectives. Document standards and best practices for OHI's content development and testing processes. Lead all ecommerce reporting and analysis to maximize the impact of SEO across OHI's digital platforms. Track program budgets and all associated components. Partner with development and business teams to prioritize and execute related programs. Guide OHI teams on how to use OHI’s content-management platform to optimize SEO. Collaborate across teams to optimize the findability, display and integration of OHI's sites. Manage vendor relationships and related budgets. 5+ years of experience in designing and executing SEO strategies at enterprise scale. 5+ years of experience with an online retailer. 5+ years of experience working with content & creative teams including design, web production, and copywriting teams. 3+ years marketing analysis experience. Must have a solid understanding of web metrics, online testing methodology, and optimization strategies. Proven track record developing program plans that meet/exceed goals. Applications for this Phoenix SEO job are being coordinated by Harry Joiner. To apply, CLICK HERE. Candidates, please be sure to email Harry for additional information that will differentiate you in your candidacy. Due to the intensely competitive nature of this search, thorough preparation for these interviews with this proprietary material is strongly recommended.